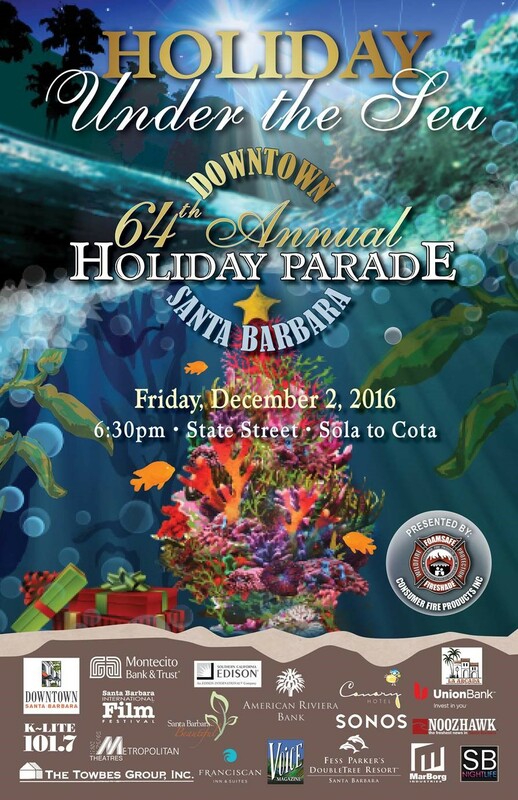 The 64th Annual Downtown Santa Barbara Holiday Parade starts off the festivities of the season. Friends and neighbors line State Street in anticipation of marching bands and decorated floats. This year&apos;s co-Grand Marshals are Cody and Caleb Walker, brothers to the late Paul Walker. Come join in all the holiday fun! It&apos;s snowing at the Santa Barbara Zoo. Children can sled down tiny mountains and frolic in the snow. The elusive Snow Leopard is celebrated with his own festival. Kris Kringle will be on site and ready to meet with youngsters and take a selfie or two. Shop until you drop and support local artists while you&apos;re at it. The Lama Dog Taproom and Topa Topa Brewery showcase handmade goods created by regional artists. A lively vibe is guaranteed with DJ Manny Ersone Magneto playing tunes on the Lama Dog Taproom balcony. It is the season for giving, and through December 24th Santa Barbara residents can help bring a smile to neighbors in need. The Holiday Wish Tree at The Unity Shoppe has branches filled with tags describing wishes. Select one or two and fulfill the wish. Return presents with their tag and off they will go to warm hearts and bring smiles. On Dasher, On Dancer, On Prancer, On Vixen! The annual Brad Nack 100% Reindeer Art Show takes place at the Roy 7. View his marvelous depictions of whimsical reindeer. They are so enchanting you may want to purchase one to add to your holiday collection. Create your very own wreath, garland or swag from native California plants in this popular workshop. Basic supplies are provided. Participants are asked to bring their own accent decorations such as ribbons, bows or even miniature battery operated lights. A sense of satisfaction will surely be felt once your craft is complete and hanging in your home. The 33rd Annual Holiday Parade Of Lights always amazes. Beginning at 3 p.m. a variety of boats are all decked out for the holiday parade. Prizes are awarded to the most creative and theme oriented. Santa&apos;s Village is set up and filled with activities at Stearns Wharf. And, a spectacular fireworks display lights up the sky around 7 p.m.
Santa Claus is in the house at Paseo Nuevo December 1-24th. The elves are with him waiting for Santa Barbara youngsters to bring him their letters and have a chat. Reserved times are available from 9 to 11 a.m. on December 5th and 12th for special needs children who require a bit of space from the holiday crowds. Regular times are available online. Lean back and embrace the lovely sounds of Baroque era music. This Chamber Orchestra concert showcases three extraordinary violinists and features Arcangelo Corelli&apos;s Christmas Concerto. The annual re-enactmaent of Joseph and Mary&apos;s search for lodging begins at the Presidio Chapel. Meandering through State Street the procession ends at Casa de la Guerra. Participants celebrate with tamales, hot chocolate and traditional dessert items. Celebrate the Christmas season as if you were in the Scottish Highlands. The Santa Barbara Revels know how to have a good time. Festive spirits will be high with the alluring sounds of bagpipes and lively highland dances. Merriment awaits. The Santa Barbara Independent calls Quire of Voyces, "The most elegant choral ensemble sound". Come and rejoice in the magical music of their Mysteries of Christmas concert. It&apos;s time again for the award winning Winter Zoo Camp at the Santa Barbara Zoo. Parents can enroll their kids in either session for half or full days. Animal interactions, behind the scene activities, hands on science projects are all on the schedule. Stop in anytime for a crafting workshop with the kids at the Central Library. The children&apos;s area will be all set up for hands on fun with a winter wonderland theme. For 25 years and counting the First United Methodist Church has brought forth a living nativity scene adjacent to the church. In a wooded area visitors will find a stable where live donkeys and camels rest nearby. The three wise men wait close to the manager with Mary, Joseph and baby Jesus. Docents will be on hand to impart information on the church&apos;s history. Volunteer at the Santa Barbara Mission&apos;s annual Christmas Feast. Each year the Mission is able to feed some 400 hungry people with the aid of resident "helping hands". Make a difference in someone&apos;s holiday. You will be glad you did. Experience the glory of Christmas Eve services at Mission Santa Barbara. The beautiful and historic surroundings here add the the wonder of the day. 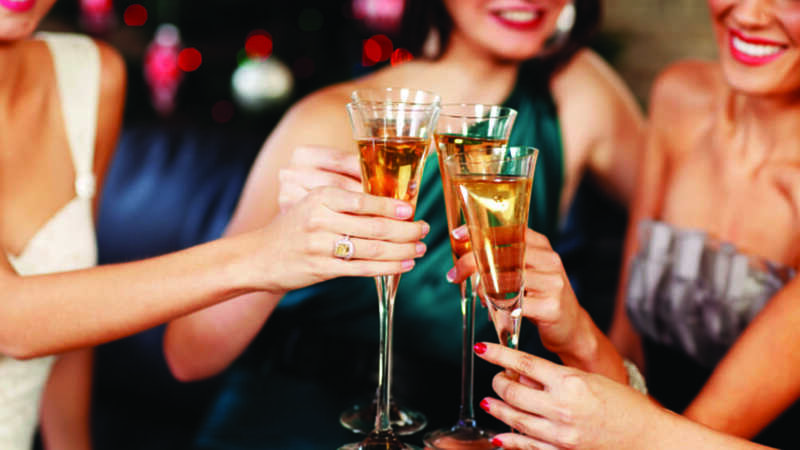 Celebrate Christmas dinner in style at the Four Seasons Resort, The Biltmore. A generous buffet style meal is set to impress. Featuring traditional holiday selections everyone will find their favorite. Give yourself the gift of a clean kitchen and dine in style Christmas day. Make reservations early. 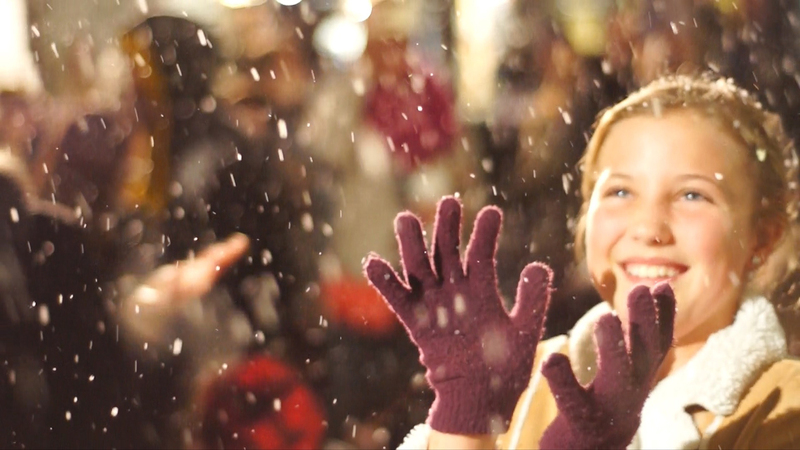 Santa Barbara is turned into a winter wonderland at Paseo Nuevo Shopping Center. Nightly snowfall occurs at both 6 and 7 p.m. all month long in Center Court. Carolers add to the festivities. Keep celebrating the season with the Mannheim Steamroller&apos;s Christmas presentation. A spectacular show of colorful lights and music will delight audiences. The Mannheim Steamrollers have a unique and timeless sound all of their own.